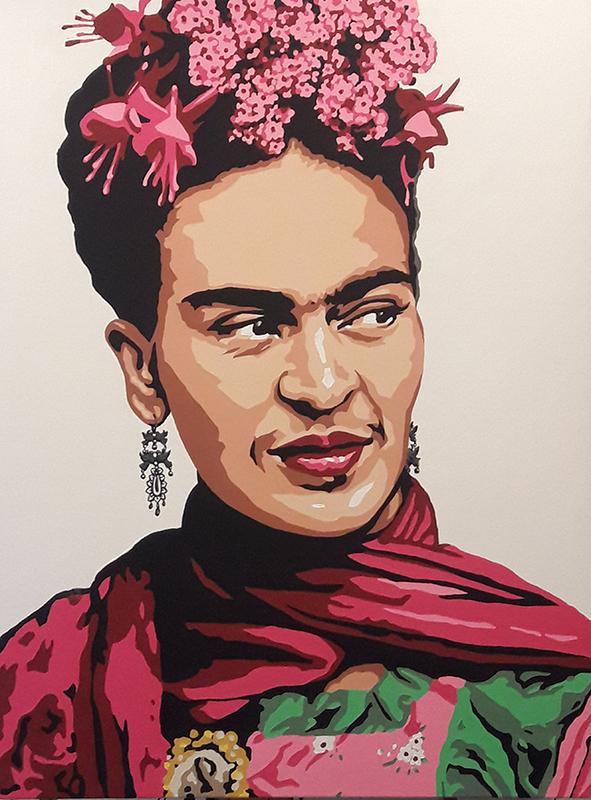 This exhibit, curated by Judith HeartSong, will offer artists in the metro area an opportunity to create a variety of works inspired by the Artist Frida Kahlo. 2D artworks, 3D artworks, sculpture, jewelry, clothing, and more will all be considered for the exhibit and holiday market. Your work must be for sale! Artists whose work has been selected for exhibit and the market will be shown at both locations – the exhibits in the Small Square Gallery at Parklawn, and in our Wilkins Avenue Merge Gallery for the duration of this exhibit. The Holiday Market will take place on December 7th, 6-9pm for the First Friday Opening, and on Saturday December 22nd for the closing reception and Holiday Market, 10-4pm. The Holiday Market will be hosted at A&M1 in the A Hallway, and at A&M2 in the center of the Merge Gallery. Artists & Makers Studios will take a nominal 25% commission on sales from this exhibit and the holiday market. The artist should insure their own work for the duration of the exhibit if necessary. Sales are made directly to artists.